stolen from a neighbor's apartment this weekend. 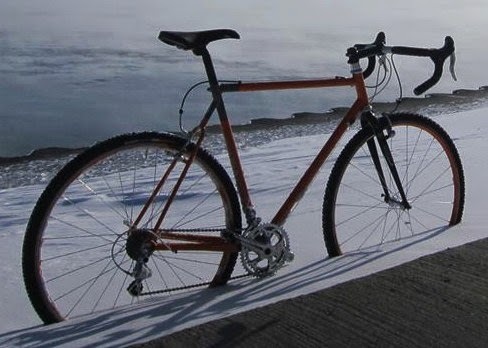 A Boystown couple awoke Sunday to find a burglar in their apartment and another neighborhood resident rolled out of bed this morning only to discover that his $3,000 to $4,000 custom-built bicycle had been stolen from inside his unit. In the first incident, a couple awoke in their Belmont/Broadway apartment at 6:30 this morning to find a person—they don't know if it was a man or a woman—in their apartment. The offender exited into the alley through the back door with the woman's purse and the man's wallet. Entrance was gained through an unlocked door, police say. The offender is described only as a "person," about 5-feet 10-inches tall, wearing a white baseball cap and a white t-shirt. Officers searched the area and managed to find a purse in a nearby alley, but it turned out to be the wrong one. (It's hard to keep track of all of the missing purses around here.) CPD case HX362178. Thursday, 3500 block of Southport, method and case number unknown.